Bill Cariker 17 May 2012 8 February 2016 No Comments on Coffee drinkers live longer? Scientists now believe there is a link between coffee drinking and living longer. New research has found evidence that drinking coffee every day can help you live longer. Whether you drink regular or decaffeinated doesn’t matter – all coffee drinkers in the study were found to live longer than non-drinkers. After many studies suggesting coffee is bad for our health, this one, the largest of its kind, has proved otherwise. This research, of 400,000 people in the U.S, reveals coffee can lengthen your life. 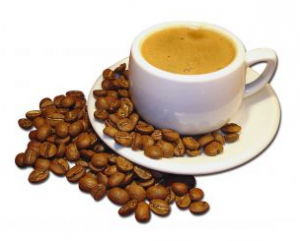 For years we have been told coffee is detrimental to health, possibly increasing the risk of heart disease. There is still evidence that coffee can raise cholesterol and blood pressure short-term, which then can raise the risk of heart disease. Even in the new study, evidence at first showed coffee drinkers were more likely to die at any given time. However, they were also more likely to smoke, drink more alcohol, eat more red meat and exercise less than non-coffee drinkers. Once this was taken into account a clear pattern emerged: a cup of coffee a day increases your chances of living longer. The results should be taken cautiously though, researchers say the results don’t prove coffee makes you live longer, only that the two are related. Scandinavian countries benefiting from coffee drinking? If you look at countries with the highest coffee consumption per capita and those with the longest life expectancy there are some links. Iceland ranks 3rd in the world for coffee consumption and 5th for life expectancy. Switzerland is 7th for coffee consumption and 3rd for life expectancy. Sweden ranks 6th for coffee drinking per capita and 9th for life expectancy. Canada comes in at 9th for coffee drinking and 12th for life expectancy. Norway drinks the 2nd most coffee and is 15th in the world for life expectancy. Of course, life expectancy is dependent on many factors, environmental, sociological and genetic. For example, Japan has the highest life expectancy in the world but falls at 39th for coffee consumption. What this research seems to show that drinking a coffee a day won’t do too much harm, so I for one will continue with my morning java.